We have chosen Gotti to be the sire of Duffy's second litter. Gotti is a beautiful import from Sweden. His sire, Triton, is a Best in Show winner and has produced multiple Best in Show puppies, including Gotti’s littermate, Kenzo. Gotti also has two litter sisters that are Swedish Champions. 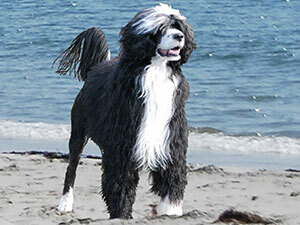 We feel his pedigree blends together some lovely dogs from Europe. 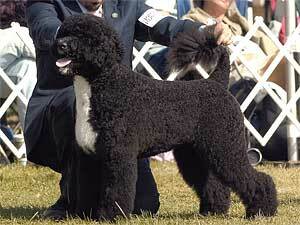 And it is our hope to incorporate some of those best traits in the breeding with Duffy. Duffy’s first litter out of Fenway hit the show ring this spring. Pumpkin won Best in Sweeps at the Arizona supported entry. Jasmine has garnered 7 points towards her championship, including wins over specials. We have been pleased with their quality as well as their outgoing personalities.